After you have used all search engines and job sites to eventually find the perfect job, the next challenge is to actually get an interview, do well and get hired. Much of this is done through sending in your data or history in the form of a resume. Writing the resume is an art, but there is also some science involved, in that you need to understand how resumes are reviewed and used by hiring managers. One of the more annoying issues in these days is that your carefully crafted and formatted gets ripped up by a piece of software and then read by the computer and stored in a database, checked for the “right” keywords and either moved in the pile “invite” or “pass”. Humans will, at larger companies, not make the first cut and so, if you don’t fall within the upfront specified narrow margins of the ideal candidate as specified by the manager/hr department, you’ll fall between the cracks in cyberspace and your resume will disappear. The job description that you have used to apply for the job, has probably contained a number of keywords that are important to the company that is advertising the job. The applicant tracking software will be looking for those keywords so you should make sure that you mention them, appropriately, throughout the resume. Don’t think that just adding a list of keywords at the bottom of the resume is going to do the trick, the software is smarter programmed than that, so it needs to be in context. Keywords help, if they search for someone with supervisory experience, that will be a keyword they will be looking for in the resume. So instead of telling your audience in the resume that: “I was in charge of the group of programmers” you want to make sure the software does get this right and you say something like: “Leading the group of programmers is part of my supervisory experience or with leading a group of programmers I got my first supervisory experience” something along those lines. Even if you do not have a competency the company is asking for, you may just want to mention it in the resume. Something along the lines of: “I am excited about the opportunity to develop my supervisory experience “. At least the software will see that you have mentioned it and will not give you fewer points because the keyword is not at all on your resume. Upon reading by a human though they may still toss your resume if the remainder of it does not make up for the lack of this one requirement. If in your line of work it is usual to have a certain degree or they will usually expect you to be able to work with specific software, make sure you mention that and spell it correctly so that the software can find it when scanning for it. To get even more specific with the keyword, read about the company on their website or in reports that you may have and see if they have some words they like to use. Something like “Innovation”, “fast-paced”, “international” or “quality”. Try to work those words also in the resume in good sentences, though, not in a keyword cluster. Make sure to always include the exact job title that you are applying for in the resume, so that this will register in the software, and also mention the name of the company, this will show that the resume is not the One Size Fits All model but a specifically generated piece of art for this particular job. Loose, the cute background and sophisticated font. Also, loose the tables and tabs that you have put in there to make it look great and nicely aligned. The computer software may get annoyed (=confused) and misread part of your great content. Use a regular font, something that is easy to read on the web, like Ariel, Courier, Lucinda. Avoid special characters and pictures or other graphics. When printed it all looks great but online, depending on what browser or software they use, it may not look that great and the automated software may misread part of the resume or put stuff in the wrong boxes and thus force the recruiter to do it manually, something they may just not do if they have enough applications that made it through the filters. Just a regular bulleted list may get through but if you can do it without the bullets, even better. Some people turn their contact information into a small graphic or picture or header/banner thing. Be careful with that as the software may not even be smart enough to read it and your future employer will have no contact details and again the resume will be ignored. Also be clear but concise, include the most relevant information but not too much other miscellaneous info. It is great that you won the quilting prize 2005 but the company is looking for a programmer and this information only clogs up the resume. There is a service that lets you try to see how your resume stacks up against a certain job description. http://resunate.com/ They get good reviews and have some enhancements like suggestions to loose or add information to your resume and their software will show what the software decides is relevant or less relevant. One of the issues is that the software works with awarding points to every resume and only the top 20 or so resumes actually go to the recruiter who then filters out the false positives and provides the remainder to the hiring manager. The problems are if you are a false Negative, the one that is qualified but does not show up because the software screens you out. This is why you need to pay attention to the formatting and the styling and the wording and the keywords. Please stick with common headings and descriptions. Resume software looks for headers like “Work Experience”. When you title that piece of your resume with “my work history” it will not be recognized and your resume may disappear in cyberspace. Another service where you can find out the horrible truth about your resume is with http://rezscore.com/ They provide you with a free automated view on how the software will view your resume. You may be surprised what jobs they recommend for you but they also include some recommendations to make the resume stronger and get a higher rezscore. A further service that is great by providing you an overview of how the software sees your capabilities as hidden in the resume is http://www.cvlizer.com/ You can submit a resume and receive a great overview, with graphs and all the bells and whistles, that outlines your profile. If you are not happy with it, start editing the resume because something is not registering right and something is not compiled right. Test it a few times until you can be assured it comes out well. 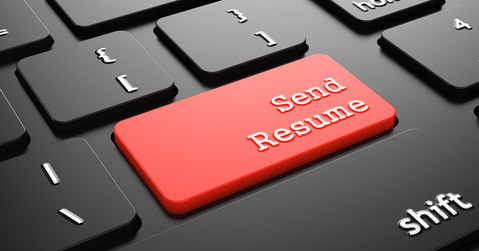 Part of the issue of parsing disasters is also the format in which you submit your resume. Your pdf may look great on your desktop but the resume parser may still encounter major difficulties in reading it. The format from a pdf ensure that people are less likely to tamper with it, change something or by accident delete your core competency but the problem is larger if the software cannot read it accurately and you’ll never hear back from the company for no apparent reason. Try to submit your resume in word and stay away from the fancy fonts and decorations, remember these days it does not have to look pretty yet, first we need to get past the resume parser. To see how well your resume matches a certain jobdescription try http://www.jobscan.co/ it is a bit rough but you’ll get a good sense of how well your resume looks to the software. If you think that the match is lower than is should and this site just does not work that well, remember that lots of great companies have crappy HR software to work with. The first thing we do is to read and re-read and analyze the job description. Some are easy with a list of requirements, some are more tricky and have little stories that list both requirements but also talk about the company and those stories may hide important clues for you to include information in your resume. As we mentioned above under the keywords section, you need to scan the company’s information for what seems important for them or more specifically what the key things are in the job that they will be looking for. You may be surprised to learn that the most important requirements are not always in the list of required qualities someone must have. Hidden keywords or situations may help you to include some specifics about you and how you would be the right person for this position. For example, if a company mentions unions in their publications, you may want to highlight how skilled you are at negotiations. At the top of the resume make a little list with a summary of why you are qualified for the job and make sure it syncs up with the requirements as they read from the advertised job. This will make it easy for both the software and the human who will read your resume to decide in a split second that you should be interviewed. You may have better and more qualifications than they ask for but if the software or the human needs to start looking for it in paragraphs of words about your previous positions, they will skip over it and your resume will never float to the top. If you don’t meet the requirements, think about if this is the right job for you. Take a close look at those requirements, if you have 9 years of experience and they are asking for 10 or more you can be confident that there won’t be a major problem. When the requirement is to have a degree and you have not even started that field of study, you need to really think twice about investing your time in this application. Your degree may be a great replacement but if they can hire people that have the required degree they will, and that is when we suppose your resume will even get through the initial software screening. Some of the requirements will be more significant than others and certainly if a company has a laundry list of about 20 different requirements, you know that they will most likely focus on three to five significant requirements and the remainder is nice to have or will make the difference provided you have the essential ones. A degree is usually pretty essential for junior jobs, the more senior jobs will value experience and be more open to a variety of educational pathways that have brought the candidate the required experience. Some successful people have made it without a college degree (Bill Gates and Richard Branson) and the founder of Groupon has a music degree, one of the co-founders from youtube a degree in fine arts and Martha Stewart and the CEO from IBM have history degrees. That said, these people have made it often through entrepreneurship and/or in a time before software screened you out of the race due to the lack of a suitable degree. Don’t lie about your or anything you can or have done. Never lie! Instead, ensure you provide a view from the right angle at your qualifications. You remember the joke if the glass is half full or half empty, the engineer would say…… in any case it is inappropriately sized. You want to be the one who tells the recruiter that the glass is half full. Similar with your qualifications, make sure you provide a favorable view on them. If you have been job hopping for the past few years, present it as multi industry experience, or broad experience. If you have just one year short in your experience when they ask for 3 years, talk about being in your third year as an engineer, rather than saying “I have two years experience”. When you do not have the experience with a particular tool or piece of software, think of something that you have and that is equally good. On your resume say things like”experienced in [insert qualification you have] which is very similar to [insert missing requirement]”. As we said above, it gets more tricky with a missing degree. You could try the tactic as in the missing required software or tool and say things like “graduated with an [insert degree and university or school] and during my education learned [insert interesting course work that should make up for it] which forms the basis of the [insert missing degree]”. It may not fly but it is an approach that is worth trying. You are trying to convince the hiring manager that you have transferable skills and knowledge to apply to the position, that will ensure you will do a great job. It certainly helps if you have a list of great accomplishments that you can show on the resume. There is an end to this tactic, though, if they are looking for a chemist and you have a history degree, you may have an uphill struggle to get a foot in the door. If you miss a degree, see if you can at least do something as course ware that is close to this degree or would be the first step towards this degree. Eventually, it is better for you to go and get the degree, even if it means a financial sacrifice, but these days you can do many things on your own time and remote so there should not be much of an excuse not to get the degree. If you notice that having the degree is keeping you from getting the right job, enroll in a module that would give credit towards the degree so you can state on the resume that the degree is “in progress”. Certainly, if you miss the degree entirely, move your education information to the bottom of the resume. The hiring manager will have to be very impressed by your experience and accomplishments and may get more lenient about the degree. It is important to remember that if a company has listed something as an absolute requirement, that they would open themselves up to lawsuits from qualified candidates who have all the requirements if they hire someone without the requirements. There are enough examples of settlements that cost companies dearly do not think that the hiring manager can easily ignore a requirement that they have published. If they state it as “degree in relevant field of study or equivalent years of related work experience required” you may have a better opportunity to make your case. Volunteer work also plays an important role in the struggle to meet the requirements. Sometimes having done volunteer work for a number of years will have given you a similar experience as what is required and this is certainly something that you can list on the resume where they ask for a certain requirement that you don’t have. As we have seen above, there are lots of things to bear in mind while writing a resume. With the information and tips from above, you should feel confident that you can write a good resume and have a good chance to get through to the hiring manager. Again you do not have to go it alone, the internet has great resources to offer to help you get started. Most of them are easy to use, help with getting the correct formatting, spelling of universities and majors, addresses and phone number formats. Most have a small cost for either a first try or a basic option and then they try to sell you enhanced services. A very easy way of drafting a resume is using http://www.resume-now.com/ you can either upload your existing resume or start from scratch. The process if clear and simple and the resumes come out great. They offer added services like cover letter creation and even some tests for when you are uncertain about your future. Another website with a smooth process to try is the Resume Genius creating the resume is easy and fast. Then there are services that work on your phone. One is called Resume Ready and another one was careerigniter but when we last checked that now only exist on the web . Call me old fashioned but I can’t see me working a resume on a phone but by all means, check it out, it looks great. An advantage of resume software is that you’ll get your spelling right as it will highlight mistakes usually and even when you write your own resume in word, it will highlight spelling mistakes. It is important not to have any spelling mistakes as the resume parsing software has no mercy! Your resume will be ignored. You should make it a habit to re-read your resume as some words are not flagged by the spell checker because the exist in the dictionary but are not the words you wanted to use. Another thing to remember when it comes to applying online or by email, make sure you come across professional. Use an email address from your school or university, that will look good, do NOT use your current work email address, don’t have “funny” email addresses like “catlover@whatever.com” or “desparatejobseeker@whatever.com”. While we are on the topic, clean up your act online. Open your LinkeIn account and update it and hunt for recommendations and references, but lock your facebook, Instagram, Tumblr, twitter and other more informal social media accounts up when they are revealing too much of an active past that may not be looked at positively by the prospective employer. Remember, your youtube videos are visible, your comments and tweets to other people, your questions on a forum and your rant about your missed flight, all is available for the savvy recruiter. Spend some time to “google” or “bing” or “yahoo” yourself and see what damage is out there. If too much, try to clean it up. If that is not possible create some thoughtful responses on websites that are relevant to your profession so that the old pain will probably be buried under more recent decent and good stuff. The phone number that you use should be valid, contactable, not from your employer or your friend and the voicemail on it should be short and professional and not talk about your current employer. There is some debate about including your physical address in the resume. Conventional thinking would say you do but you run the risk that you get screened out immediately because they want to go for a local hire, even when you would have been willing to relocate on your own wallet. To avoid that you could leave out the physical address but that may trigger an “incomplete data” response from the scanning software. If you believe from reading about the company that relocation may be an issue, leave out the address and wait for them to email or call you, hey even if they email or call to ask for your address you have contact and it may get you closer to the front of the line. If you don’t feel comfortable writing your own resume, consider hiring a trained resume writer. http://www.greatresumesfast.com/ is just one of many services that will produce a resume and do some rewriting in cooperation with you. Once you are done writing your own resume, remember, you can contact us for a personalized resume critique and tips on rewriting the resume.